Facebook introduced the new Timeline layout for individual Facebook profile pages a few months ago, and now it is preparing to transform Facebook Business pages as well. There’s a lot of potential for businesses to take advantage of the new layout to share information and engage customers, but there are a few caveats and pitfalls you should be aware of. The Timeline layout will happen whether you like it or not. Facebook is set to push the new layout to all Facebook Business pages at the end of March. The result may be sloppy and unprofessional, though, if you don’t invest some time to brand your site. Take some time to customize your Facebook Business Timeline with your unique brand. You can read A How-To Guide for New Facebook Business Pages to get a nice overview of the features of Timeline and the basic steps to customize your page. If you look at the recent PCWorld slideshow of 10 Facebook Timeline Business Pages That Rock, though, you will see that even some of the best sites have issues that need to be addressed. 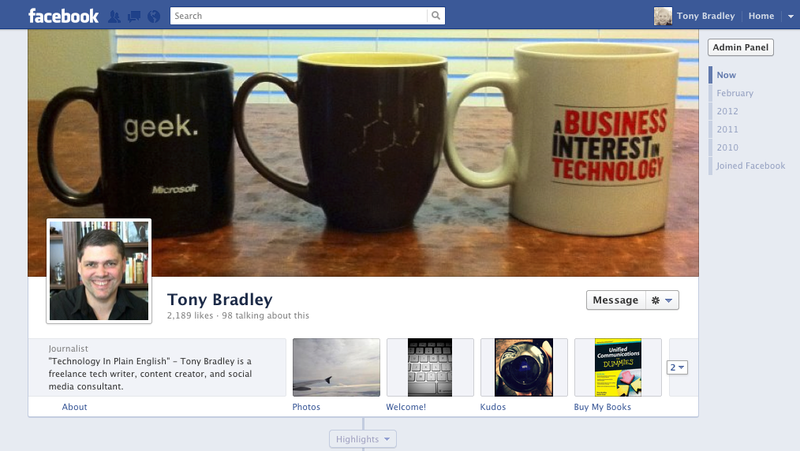 First of all, the Facebook Business Timeline displays icons beneath the cover art image. You can have a total of up to 12 apps linked, but only the first four are visible unless you click the arrow to expand and view the rest of them. The first one is to Photos and can’t be changed. The second one, however, defaults to Likes which displays the Facebook thumbs up icon along with the number of people who have “liked” your Facebook Page. This is a waste of icon real estate, though, because the number of page Likes is also displayed under the cover art directly beneath the name of the Facebook Page. The number of people who "Like" your page doesn't need to be featured so prominently on your Timeline. Besides, displaying the number of Likes is either a tad pretentious if it’s a very large number, or it’s a bit embarrassing if you’re just starting out and only have a handful of Likes. Either way, you don’t need to draw so much attention to that number. You can’t get rid of it entirely, but you can move it to the bottom row so it will only be displayed when someone clicks on the drop down arrow to expand the icons. Click on the arrow to expand the icons area, then hover over the Likes icon. A small pencil will appear in the upper right. Click it, and then select the icon that you’d like to have in this position to swap the two. This is prime real estate, so choose the app that you most want your visitors to see. As long as you’re already in icon moving mode, go ahead and continue arranging the icons. Again, you can only see four of them by default, and one of those is going to be Photos whether you like it or not. You can choose the other three, though, so select apps that you want to bring to your visitors attention. Many Facebook sites have some sort of Welcome tab that provides an overview of what the company is about. If you have a YouTube page, or other resource that you’d like to draw attention to, that is another good use of the top row of icons. Follow the same steps as above. Click the arrow to expand the icons, then hover over the one you want to replace to click on the pencil. That will display a list of the other icons so you can choose which one you’d like to swap into this particular position. Just continue swapping the icons around until you find the order that works best for you.